Patients with diseases such as diabetes suffer from painful wounds that take a long time to heal making them more susceptible to infections that could even lead to amputations. A*A*STAR’s discovery paves the way for therapeutics to improve healing of such chronic wounds, which are a significant burden to patients. 1. Scientists from A*STAR’s Institute of Medical Biology (IMB) have identified a molecular “switch” that controls the migration of skin cells necessary for wounds to close and heal. This is especially significant for diabetics and other patients who suffer from chronic wounds, wounds that do not heal or take years to do so, which are vulnerable to infections and could lead to amputations. This switch mechanism may hold the key to developing therapeutics that will reduce or prevent chronic wounds. 2. The scientists discovered that a tiny “micro-RNA” molecule, called miR-198, controls several different processes that help wound healing, by keeping them switched off in healthy skin. When skin is wounded, the manufacture of miR-198 quickly stops and the levels of miR-198 drop, switching on many wound healing processes. 3. In the non-healing wounds of diabetics, miR-198 does not disappear and wound healing remains blocked. 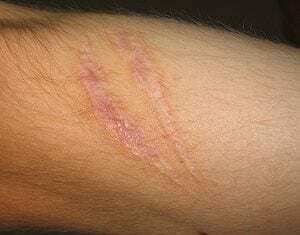 This therefore identifies miR-198 as a potential diagnostic biomarker for non-healing wounds. These findings were recently published in the prestigious journal Nature. 4. The research leading to this discovery was carried out in collaboration with A*STAR’s Bioinformatics Institute (BII), National University Hospital (NUH), Singapore and Jnana Sanjeevini Diabetes Center, Bangalore, India. 5. Chronic wounds in patients with diabetes are a major global health burden and the most common cause of lower extremity amputations. In Singapore, diabetes is the fifth most common medical condition diagnosed and one in nine people aged 18 to 69 has diabetes. Unfortunately, chronic wounds are currently poorly understood and insufficiently treated. Chronic wounds also tend to affect the elderly and disabled patients, especially those confined to a wheelchair or bed-bound.